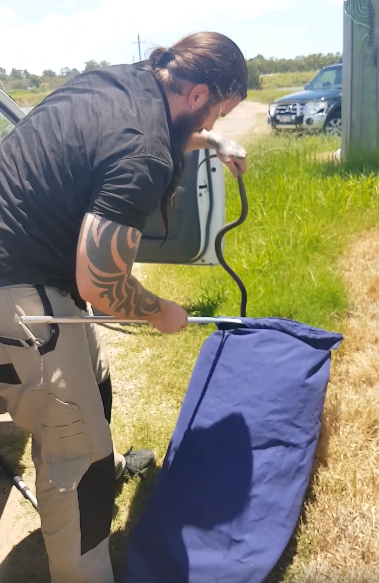 A construction worker from Eagleby has survived a frightful encounter with a venomous brown snake that found its way into the driver compartment of his Ute. The worker was lucky to escape as he discovered the eastern brown snake slithering across his arm on Tuesday while he drove to work. The worker quickly pulled over to the bank of Mount Cotton Road in Mount Cotton when he reported feeling a scaled reptilian moving over his arm. The driver fled the car as the snake retreated behind the front seats. The shocked construction worker called Stewart Lalor, a Brisbane snake catcher from Wynnum, who quickly proceeded to the site. Despite pulling apart the car Mr Lalor was unable to find the snake. Mr Lalor said that they “checked everywhere” but were unable to find the snake which he suspected was trying to escape the heat and found its way inside the car. He went on to say that he thought the snake might have been a young red-bellied black snake. Being convinced the snake had left the car, the driver continued on his way to work. 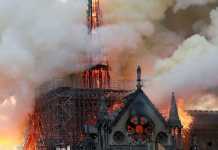 When he arrived at the construction site he re-encountered the snake under his dashboard. When Mr Lalor arrived at the construction site he was able to identify the snake as an eastern brown snake which is one of the most venomous kinds in the world. The snake had managed to get inside via a tiny space around the side of the handbrake. 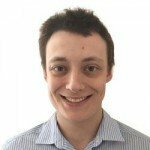 The snake had made its way into the car through an open window but Mr Lalor said that it’s intentions were not hostile, wanting to “avoid conflict” any way it could. 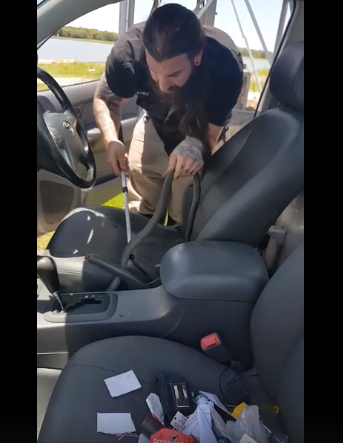 Footage has made its way onto social media showing the moment that Mr Lalor successfully removed the snake from the car. 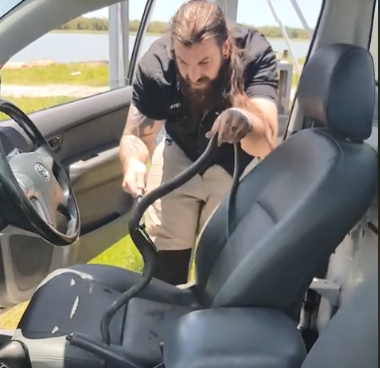 After an hour-long struggle to get a hold of the snake Mr Lalor was able to grip the snake and reach around the car’s footwell with his hook. Mr Lalor’s assistant is seen to move the passenger seat back to create more room, anticipating the moment of capture. Mr Lalor then hooks the snake with his catching hook and removes it from the car. While his assistant gathered a bag to place the snake in Mr Lalor held the reptile up for a photo. The snake is then placed in a purple bag and the threat of danger is removed. After all parties made a sigh of relief the snake was then safely released into the bushland.